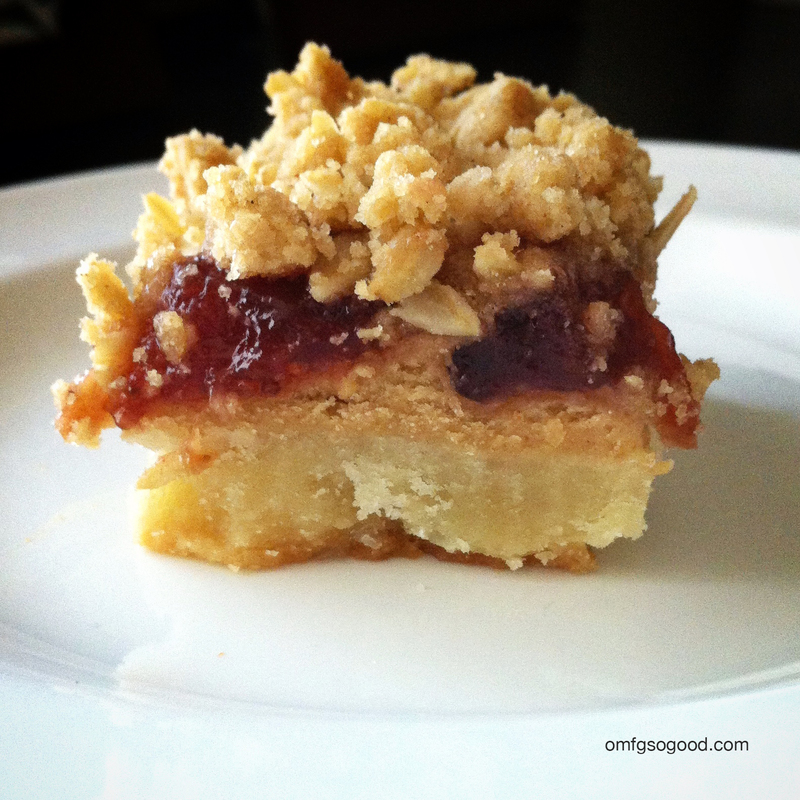 peanut butter and jelly bars | omfg. so good. 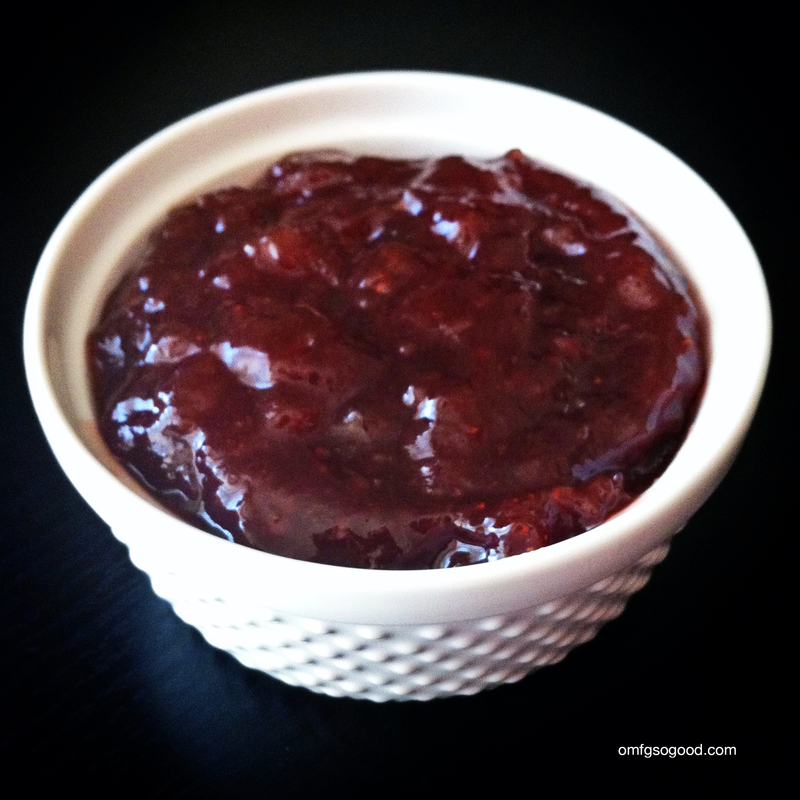 It’s peanut butter jelly time… now break it down. I don’t know about you, but I loves me some PB&J. I can honestly say I ate them every single day for lunch in junior high and I MASTERED the peanut butter to jelly ratio. In case you’re curious, it’s 3:1. I don’t eat them every day now that I’m all grown up, but every once in a while I get in a mood and nothing else will do. These crumbly, gooey, peanut buttery bars are the result of one-such moods, and will go down in the books as my homage to the classic combo that is… The PB&J. To make the shortbread, preheat oven to 300 degrees then spray a 9 x 13″ light colored or glass baking dish then line with parchment paper and set aside. In a medium size bowl, mix the butter, sugar and vanilla. Slowly add the flour and continue mixing. The mixture will be crumbly at first but will eventually come together as a dough. Press the dough into the prepared pan then prick the dough with a fork to allow for steam to release during baking. Bake in the preheated oven for 25 – 30 minutes or until slightly golden brown on top. Remove from oven and cool completely on a wire rack or pop it in the fridge to speed cool. The shortbread will be a tad undercooked at this point, but you will finish baking it through once the bars are fully assembled. 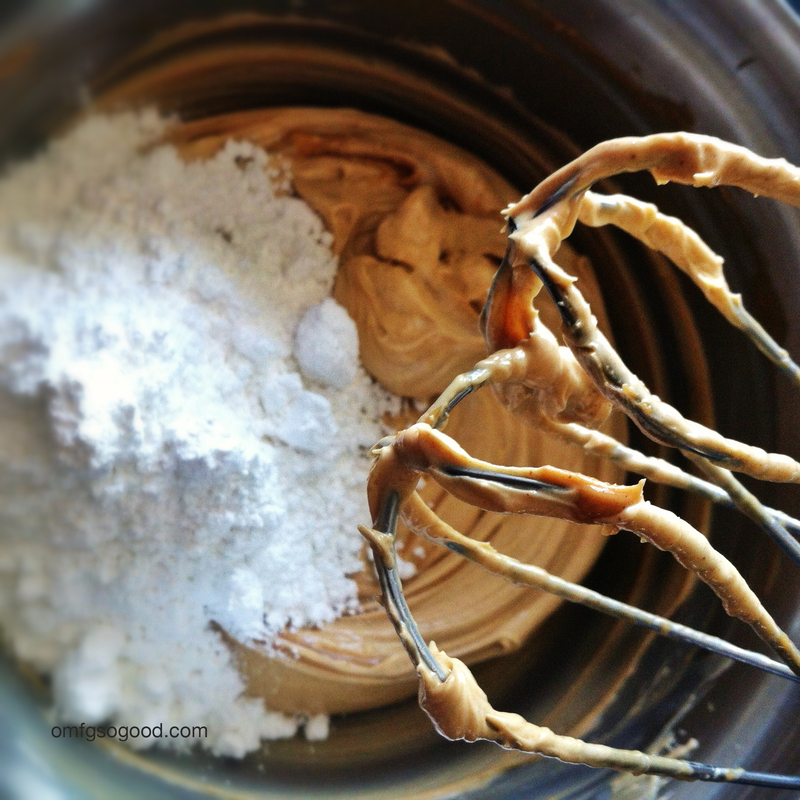 To make the peanut butter layer, beat the butter on medium speed until it’s completely smooth. Add the peanut butter and continue to mix until combined. Slowly add in the powdered sugar and vanilla and beat, scraping down the sides of the bowl, until completely smooth. Increase the oven temperature to 325 degrees. Spoon the peanut butter mixture on top of the cooled shortbread and spread evenly with an offset spatula. Return to the refrigerator to chill while you’re making the crumb topping. To make the crumb topping, whisk together the flour, baking powder, baking soda and cinnamon. Add the brown sugar and oats and stir together with a wooden spoon until evenly combined. 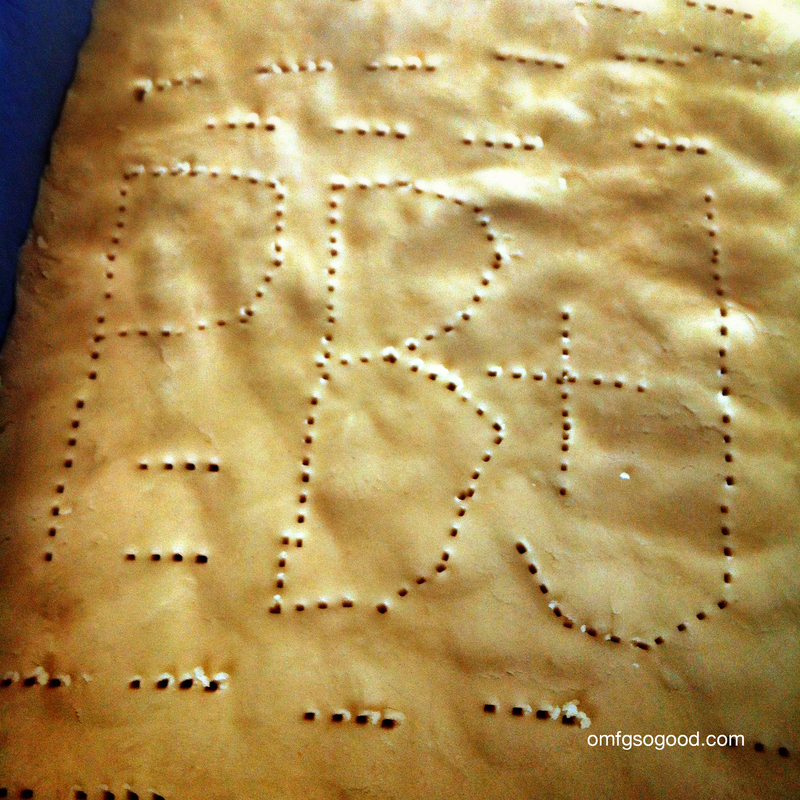 Add in the butter cubes and mix together with a fork or your fingers to form loose crumbs. Now, Pump up the Jam. Pump it up. Pump it up. Yo, pump it. Actually, spread it. As in, evenly on top of the chilled peanut butter layer. 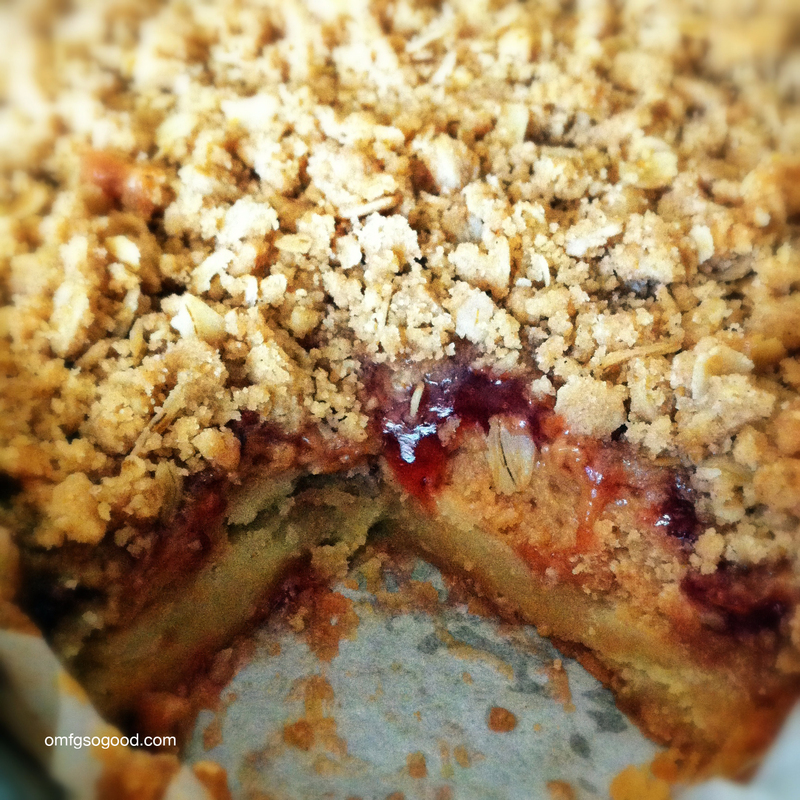 Cover the jam layer evenly with the crumb topping until it’s no longer visible. Bake the bars in the preheated oven for 20 – 25 minutes or until the top is a nice golden brown, rotating halfway through. Remove from oven and cool in the pan on a wire rack. Cut into evenly sized bars and EAT. These kept well in the fridge for around 4 days, then I froze the rest in a plastic freezer bag. And, they taste just as good thawed in the microwave for :20 – :30 as they did the day I made them. Evidenced by the stray pieces of oatmeal I find under my pillow every once in a while, courtesy of Baby Daddy.